Yes, it's up. In future, they're hinting at exclusive content and a wedding live-stream. 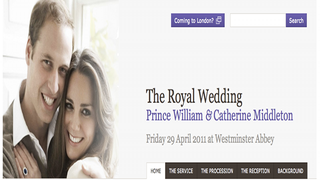 Avid royal-watchers will still get a kick out of info on the wedding route, the palace and the history. But then, avid royal-watchers will probably know all that already.